Adding work for a worker in Payable is simple. However, if you are tracking this data outside of Payable (another system, a spreadsheet, etc...), entering in all this data manually could be time-consuming and potentially error-prone. 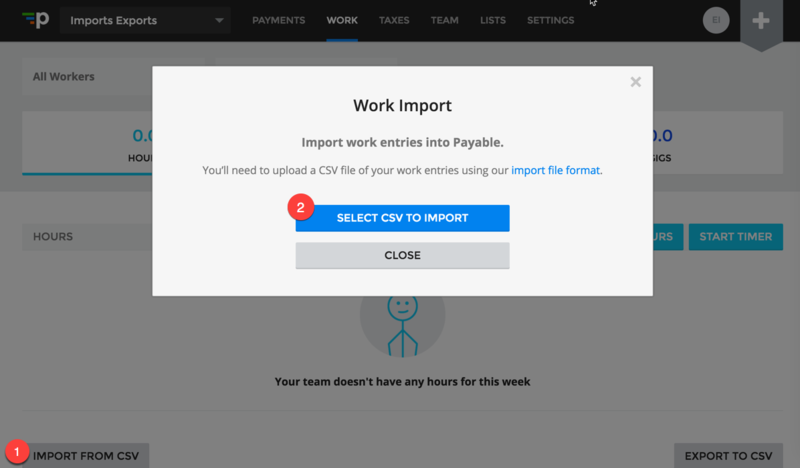 Payable provides a means to “bulk add” your work all at once using a CSV formatted file. A CSV file has a header row that defines the columns in the file, and the rest of the file is the data, in those columns. Depending on your situation, you may or may not use all of the columns we support. 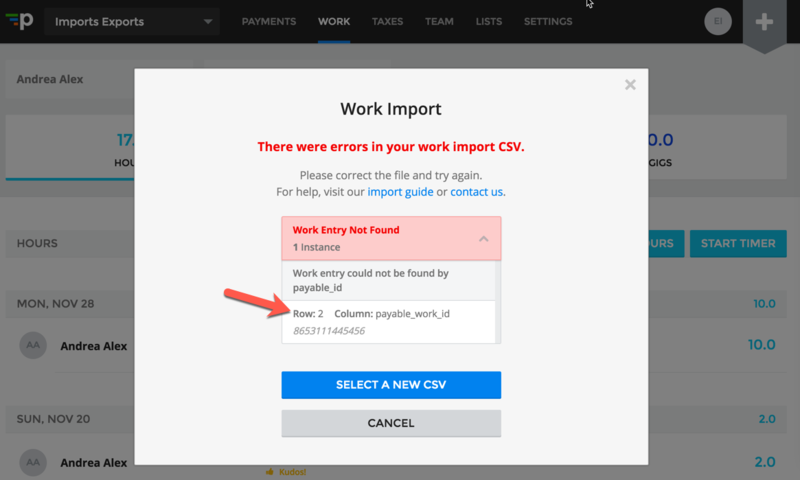 Here is a sample file of the CSV with all the supported headers: Payable Import Work Sample CSV. 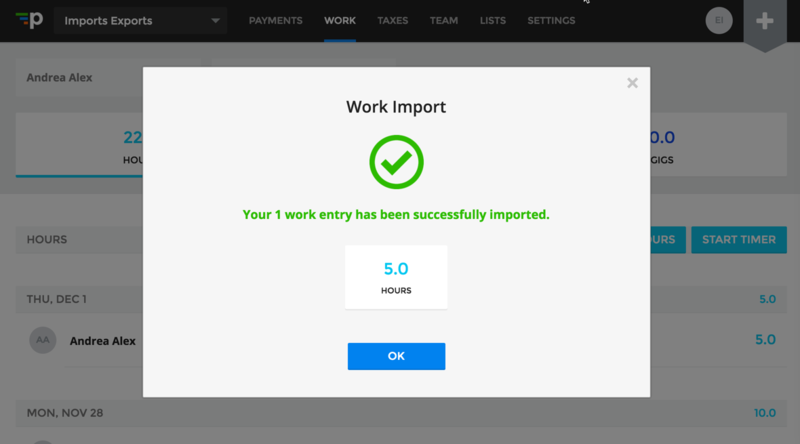 Worker Reference Ids are used to connect workers in Payable to those from an external system (yours!). The unique id of the worker in your system. This will be treated as a string (text) and should be unique across all your workers. We will use this value when we associate work with the worker. If we cannot find this reference in our system, an error will be displayed during the validation phase. This reference id is required if payable_worker_id is not present. The id of the worker in the Payable system. 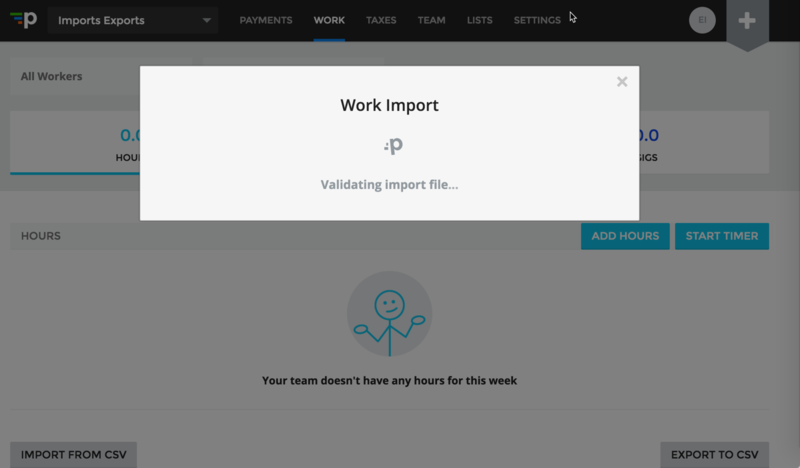 The Worker Profile and the Team export CSV in the application will have this ID if you don’t have it already. This reference id is required if external_worker_id is not present. Work Reference Ids are used to connect work from an external system to Payable. The id of the work in the Payable system. 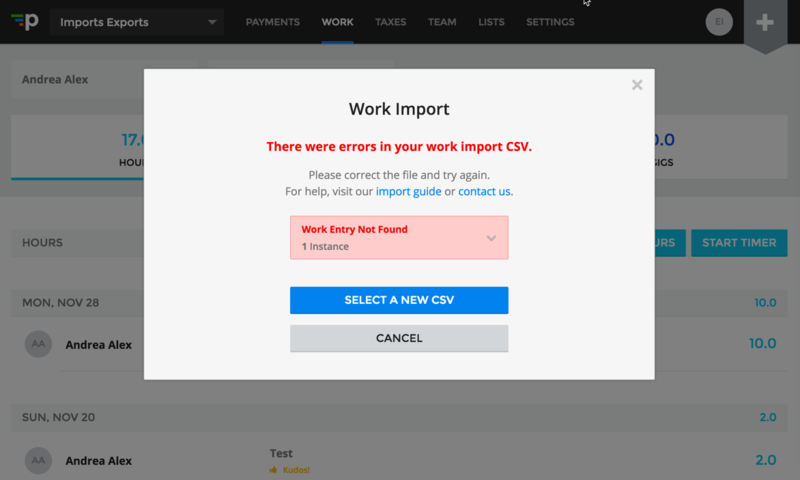 The Work export CSV in the application will have this ID if you don’t have it already. When present, it is assumed this entry will be updated with new values (if not already paid). The work type name, quantity and time at which the work was performed are required fields. The time at which the work ended and notes are optional fields. Time at which the work ended. Must be ISO 8601 compliant. 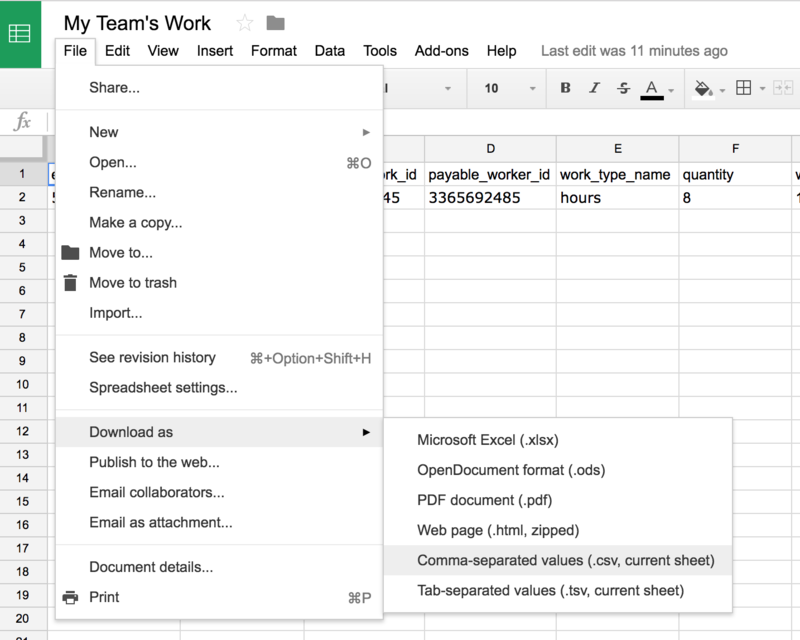 Most spreadsheet applications give you the ability to export your data as a CSV file, so we recommend you prepare the data in your spreadsheet first, then export. The first row will be your header, so ensure that the name of each column is in line with the specification (above). If you're using Microsoft Excel, go to File > Save As... Then, where it says "File Format" click to bring up the option of "Comma Separated Values (.csv)"
Go back to the spreadsheet and correct the file. After updating the data you can export your file and try importing it again. 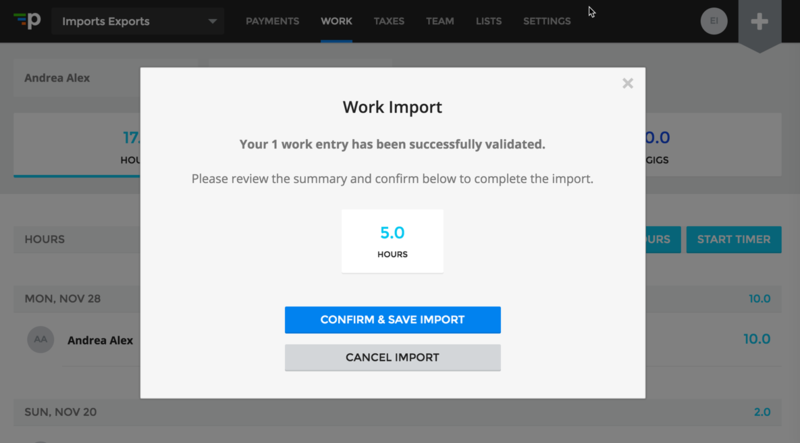 If you have any further questions about the information in the Work import, feel free to reach out to support@payable.com.